Although the Diamondbacks traded first baseman Paul Goldschmidt last week, his departure isn’t necessarily a sign that a full-scale teardown is coming, Nick Piecoro of the Arizona Republic hears. While Piecoro doesn’t rule out other deals involving notable D-backs veterans (e.g., Zack Greinke and Robbie Ray), he writes that they “seem comfortable standing pat” and addressing holes on their roster. If Arizona does part with Ray, it would take a lot to acquire him, as a source tells Piecoro the team has set a “really high bar” on a return for the left-handed strikeout artist. Ray, 27, is controllable for the next two seasons, including for a projected $6.1MM in 2019. 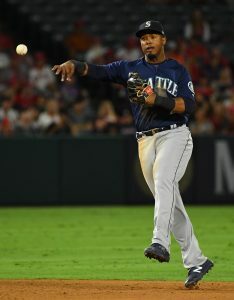 The Rockies “figure to be in the mix” if the Mariners trade first baseman Carlos Santana, Thomas Harding of MLB.com writes. Santana just joined the Mariners this month in a blockbuster trade with the Philllies, but the rebuilding, payroll-cutting M’s may flip the 32-year-old in the coming weeks. While Santana wasn’t great in 2018, he brings a solid track record to the table and would likely serve as a first base upgrade in Colorado, which received National League-worst production at the position last season. Of course, Santana’s contract could hinder a trade to the Rox, as he’s due a guaranteed $35MM over the next couple years (including a $500K buyout in 2021). It doesn’t seem the rebuilding Rangers have any untouchables on their roster, TR Sullivan of MLB.com relays, as president Jon Daniels indicated Sunday that the team’s main goal is to improve its long-term outlook. The Rangers are “not looking to move these guys, but we are open on a lot of things,” Daniels said of their top players. Dominant reliever Jose Leclerc, who’s controllable through 2022, clearly stands out as one of Texas’ most valuable trade chips. Many teams have inquired about Leclerc, 24, but the Rangers have discussed extending him in a deal that would buy out free-agent years, Jeff Wilson of the Star-Telegram reports. Like Leclerc, infielder Jurickson Profar ranks as one of the Rangers’ most appealing players, though he only has another two years of control left. If the Rangers market Profar, Evan Grant of the Dallas Morning News observes that he could be of particular interest to teams that lose out on the Manny Machado derby in free agency. More on the Rangers, who are trying to entice free agents with their forthcoming new ballpark, Daniels revealed (via Wilson). Regarding Globe Life Field, which will open in 2020, Daniels said: “It’s part of the story. We’ve talked more about the amenities we’re going to have. 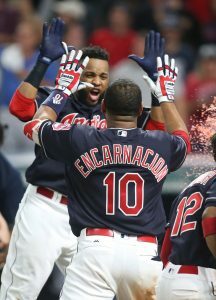 It’s going to be a place that players are going to want to play.” Daniels conceded, however, that there are other factors which outweigh the quality of a team’s ballpark – including finances, the happiness of the player’s family and whether the team chasing him is in position to win.